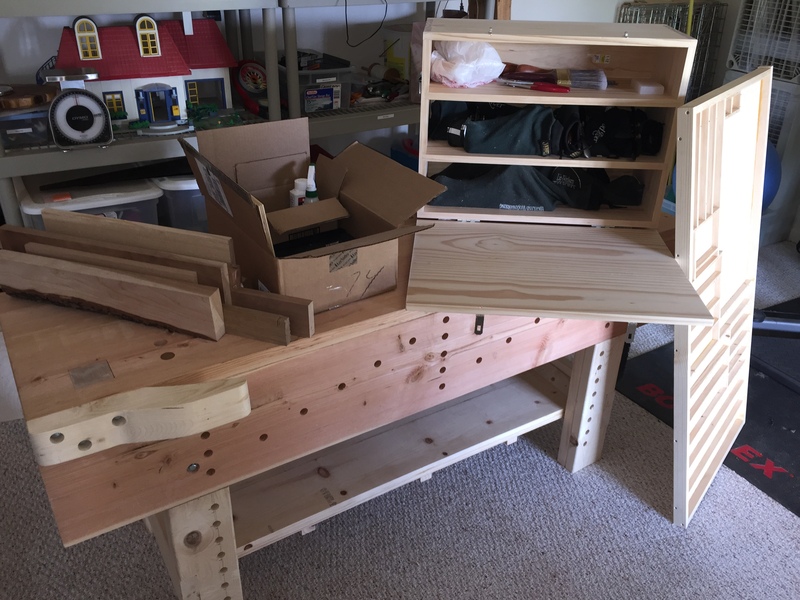 It’s been pretty busy around here – I had several projects to finish up for Christmas, and I’m working at the Woodcraft booth at the Woodworking Show in Timonium Md – Jan 2, 3 and 4. My task is to setup the booth area, and run, the handplane exhibit. I’ll have my knock-down nicholson bench there as well as a display board and transport case I put together for my planes. I’ve got nearly all of the WoodRiver planes, the ones that are out anyways, and will have my personal planes at the show for hands on usage. These are the planes I bring to my wood craft classes, so they have some … um… patina (yeah, that’s the word, patina) from their use. The two pics below are a couple of projects I did for Christmas. There were some turnings and a building log set (that is still in progress). 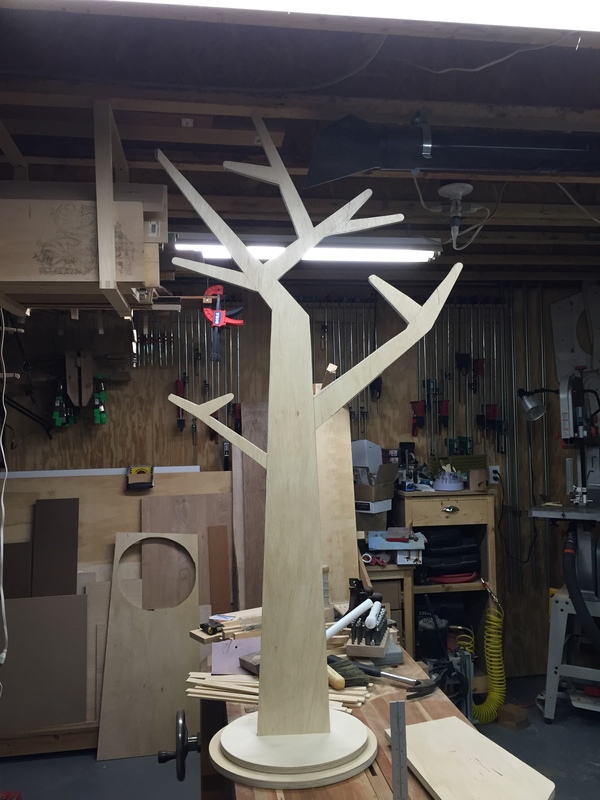 Coat Tree for my grand daughter. I used white latex paint to finish. 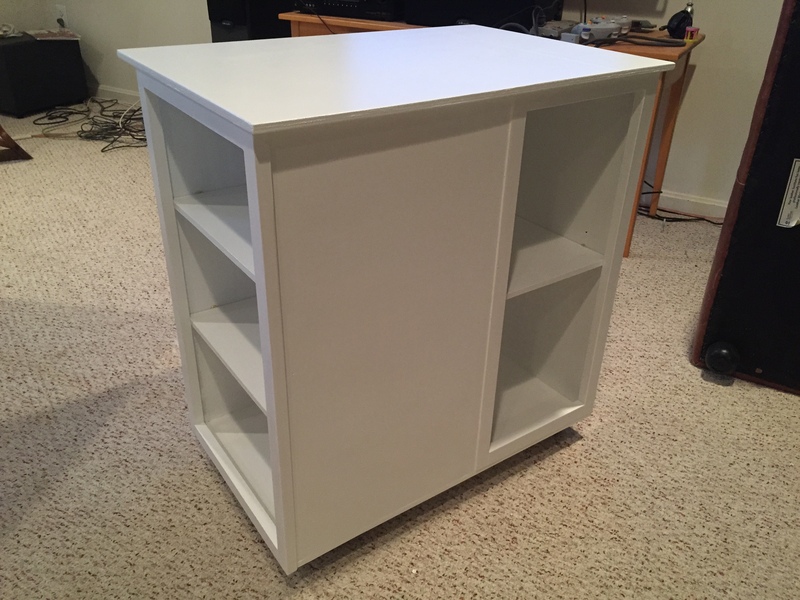 Microwave cart for my daughter – sans doors. 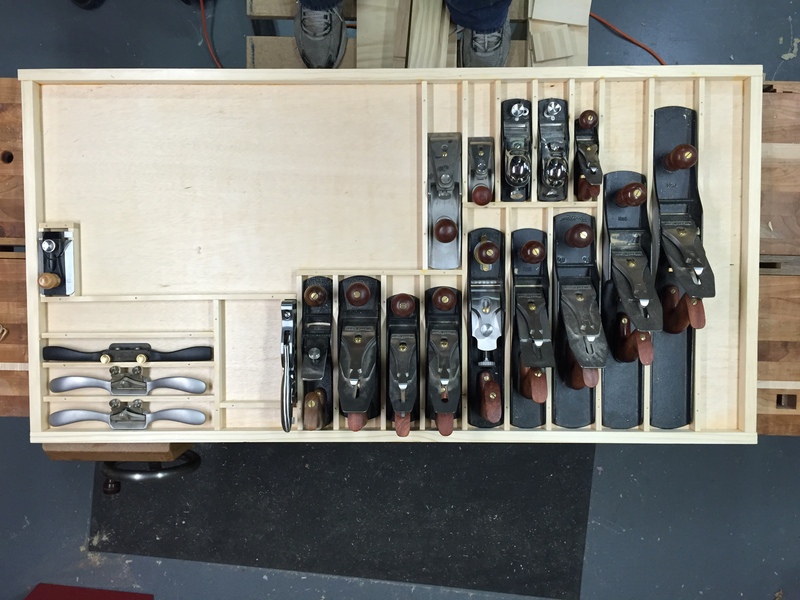 This entry was posted in Shop stuff, Shows and tagged hand tools, Shows on January 1, 2015 by bkbiggs.